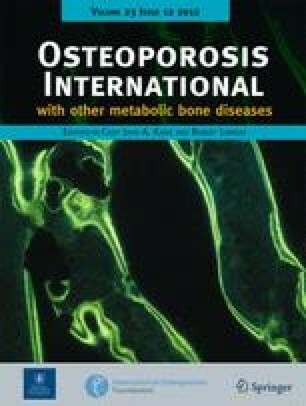 The risk of non-vertebral osteoporotic fractures increased by increasing recalled amount of weight loss when dieting in women aged ≥46 years and in those with BMI <25 kg/m2 participating in the Tromsø Study (1994/1995–2009). The increased risk was present both in women with few and several episodes of recalled dieting. The influence of repeated dieting on bone health is uncertain. This study aims to investigate whether recalled dieting is a risk factor for non-vertebral osteoporotic fractures. In 1994/1995 weight and height were measured in all participants aged 25–69 years in the population-based Tromsø Study. Information about socioeconomic background, diseases and lifestyle factors was collected by questionnaires—including number of recalled dieting episodes and largest amount of weight loss when dieting. The participating 20,745 women and men were followed for 15 years, fractures were registered from X-ray archives and analysed by Cox’s proportional hazards models. Among those who recalled dieting, 975 women and 364 men suffered a non-vertebral osteoporotic fracture during follow-up. Compared to women without recalled weight loss when dieting, women who reported their largest weight loss of 11 kg or more had a hazard ratio (HR) = 1.48 (95% CI 1.13–1.94) for osteoporotic fracture, adjusted for age, marital status, body mass index, height, education, physical activity, smoking, alcohol intake, history of cardiovascular disease and psychological distress. The increased risk was statistically significant only in women aged ≥46 years and in those with BMI <25 kg/m2. Women who recalled ≥11 dieting episodes had HR = 1.73 (CI 1.11–2.68) for osteoporotic fracture compared to those with no recalled episodes. Dieting was not associated with risk of fractures in men, but the number of fractures was low. 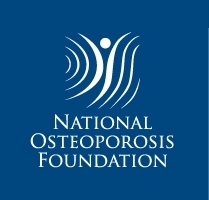 The increased risk of non-vertebral osteoporotic fractures by recalled dieting in women indicates that maintenance of a stable weight may have beneficial effects on fracture risk. The authors acknowledge Jan Størmer, MD, specialist in radiology, for the assistance in retrieving the fracture data from the X-ray reports; Gro K.R. Berntsen, MD, PhD, senior researcher, for collecting and quality assessment of the BMD data and the Tromsø Study group headed by Inger Njølstad, MD, PhD, professor, for providing the data for this study. The study was funded from several official sources, among them the Northern Norwegian Regional Health Authorities, the Norwegian Research Council and the Norwegian Osteoporosis Society.